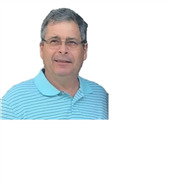 Ron has over 35 years of experience working in the mechanical contracting field. He was General Superintendent of construction on the 20 million dollar Orlando International Airport Expansion Project and reconstruction of a natural gas border station in New Mexico as well as many other projects. Ron has served the Poplar Bluff school district as an educator, and currently holds his CWI certification. He has extensive experience in the commercial field. Ron strongly believes having the proper insurance in place for your business is vital to the success of your organization. His experience as a Superintendent, Business Owner, and Mechanical Contractor have merged enabling him to make the best recommendations to his customers. Give Ron a call and let him go to work for you!